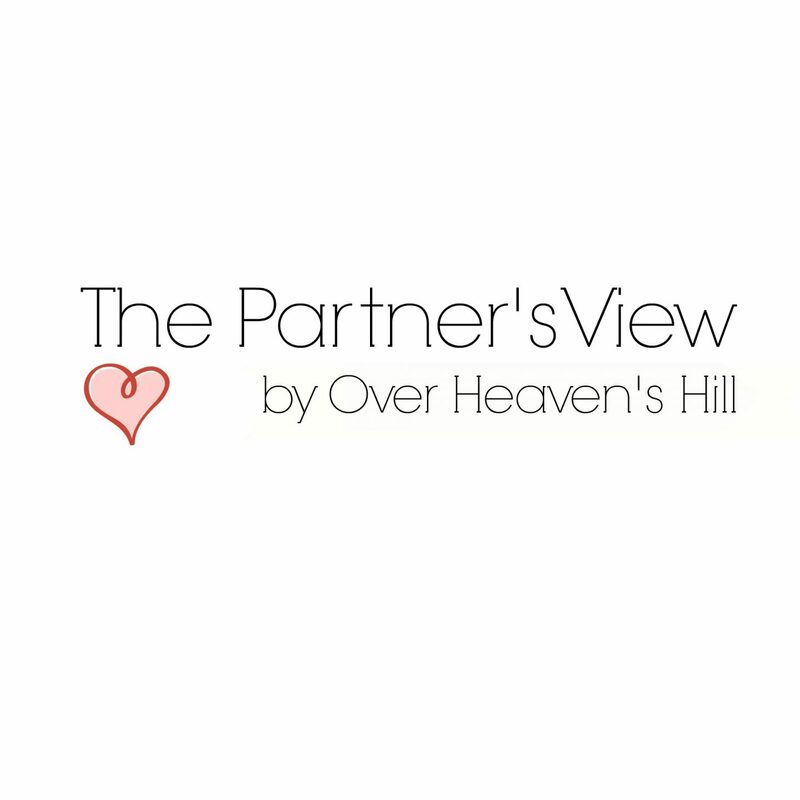 This week I’m excited to introduce Geraldine from Over Heaven’s Hill as part of my guest series – The Partner’s View. Geraldine’s partner talks about the birth of their child by emergency c-section following induction and excessive blood clotting. It makes for quite a scary read, but in the end all was ok with Geraldine and baby A. The responses from Geraldine’s partner makes us realise that anything can happen in childbirth, so it’s best to be mentally and physically prepared for anything to happen. I’ll be honest, I couldn’t see past the pregnancy stage. We talked about the logistics of preparing for the baby so much. We had everything planned and bought and decorated. I didn’t really focus on becoming a Dad until I had a horrible dream a few nights before. I was dreaming about some sort of riot where three tall guys in black attacked me. One of them put me in a choke hold and as I tried to free myself I lunged forward and kneed one of them in the stomach. Suddenly in the dream it was daytime and I saw, my wife Geraldine hunched over holding her pregnant stomach in pain. I woke up in floods of tears and shaking. 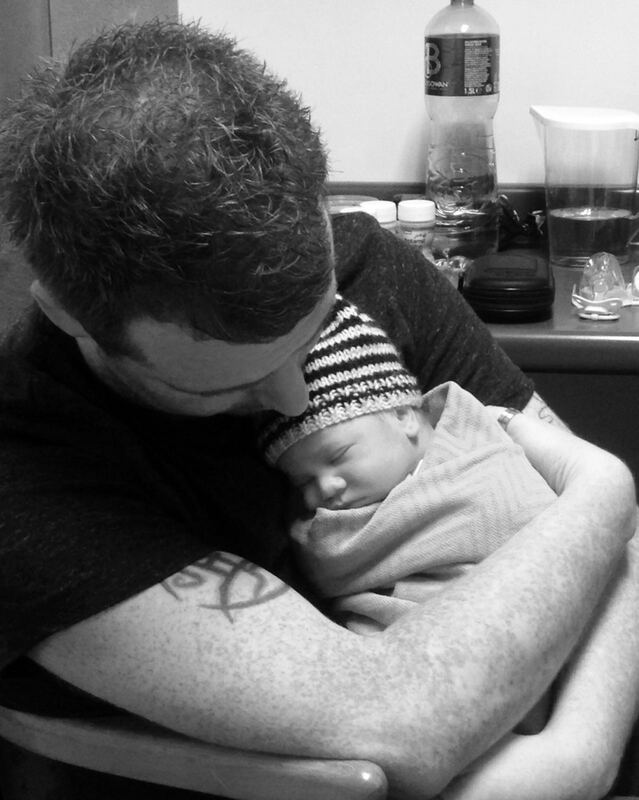 It was only after this dream that I started thinking about the emotional side of becoming a Dad. Ultimately, it was a slow process for me because I was so focused on how Geraldine was and that we were physically prepared for the new arrival. We didn’t prepare! Geraldine didn’t even prepare! I think we thought it would just happen. She was scheduled for an induction so it felt like we were on a program or schedule. Guilty truth – I had planned the night Geraldine went into hospital on getting a Chinese takeaway, making a cuppa and bringing them to bed playing my PlayStation as a kind of swansong to my soon to be old life. But when I got home (at midnight, Geraldine hadn’t progressed at all so I was sent home) that all went out the window because I was just worried about Geraldine and the baby. It didn’t go to plan. Not that we had a plan. But we didn’t imagine it would end up being an Emergency Cesarean Section. After the induction process Geraldine wasn’t progressing and had been bleeding for about 12 hours. The moment her consultant came to examine her we were told she was going for an emergency c section due to excessive clotting. It was quite frightening. From being told it was surgery to Geraldine being whisked away to me wearing scrubs and crocs with the name doug written on them, everything happened so fast. The c section was flawless and our beautiful daughter was born in minutes. Nothing during it. We trusted the doctors, nurses and midwives (helped that Geraldine works in the hospital). It was immediately afterwards. There was Geraldine who started vomiting on the table and this beautiful baby who was effectively brought over to a hot plate. I didn’t know if there was anything wrong with either of them or how I could help. I was frightened something had gone wrong with the c section. And I didn’t know if the baby was ok because she was whisked away and surrounded by nurses and midwives and I couldn’t see her. I wasn’t sure where to go or who to check on. Everyone had their jobs in the theatre and I was of low priority. I didnt know what to do, I felt like I couldn’t help anyone. Thankfully moments later everything was OK. Geraldine was just put on too high a dosage of some drug or another and after fingers and toes were counted we got to meet our daughter. From my point of view, I was actually relieved that Geraldine didn’t have to go through the pain of childbirth. We still don’t know how the clots appeared and what risks may have been involved if she delivered naturally. It was a relief to know that A was born healthy and quickly. Geraldine needed a lot of support due to the pain levels and consequences of the c section. I was still working as she recovered in the hospital for five days. As soon as work finished for the day I hopped on the train to them and looked after the two of them the best I could. A was perfect and a beautifully placid baby. I had two weeks off when we brought A home. I did as much as I could with shopping, meals and caring for Geraldine and A. If you have the opportunity in the build up to the big day, make sure your calm, hydrated and at your optimum. You are needed but be a concierge from a five star hotel – be good but be invisible. It’s very overwhelming but it’s not about you. For one day just make sure everything you do is perfect for your partner. You can find Geraldine on Facebook, Twitter, and Pinterest, and her blog Over Heaven’s Hill. Actually I asked him today after I read the last post and he said no horrified… To be fair he is working late at the moment so I don’t feel like asking him another thing…But maybe one day?! I will let you know for sure if he changes his mind. Maybe I need to have a bet with him and if he loses, that will be his punishment?! Oh that sound like a great idea!!! Thank you for the chance to tell people the story from my perspective. The PlayStation thing might seem funny or selfish even but honesty is the best policy. Hopefully some people find my meanderings helpful I even in a small way. Ah all’s well that ends well. It must be so awful when things don’t go to plan. This is great! I still have not written my daughter’s birth story (13 months later)! For me, at least, during childbirth, I could barely focus on anything except the task at hand. It would be wonderful to also record the partner’s perspective. Thanks for sharing.